304 Industrial Park Co., Ltd. was first established in 1994 in the province of Prachinburi, as a premium quality industrial park under the Eco Industrial Town concept. 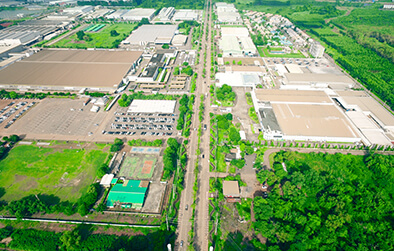 After that the company has expanded its investment to a second project ‘304 Industrial Park 2’ in the province of Chachoengsao preparing to serve the expansion of investment, both in national and regional levels, with location advantages, fully functional infrastructure and facilities, cost advantages , as well as professional assistances to drive our clients to greater performance and efficiency. Established in 1994 and covering a total area of 7,500 Rai in Prachinburi province. The development is not only located in the Board of Investment Zone 3, but is the ‘BOI Zone 3’ project nearest to Bangkok. Our Industrial Park has been developed under the Eco Industrial Town concept so that we respond to the needs of investors as well as the needs of the local community, while keeping an ecological balance. 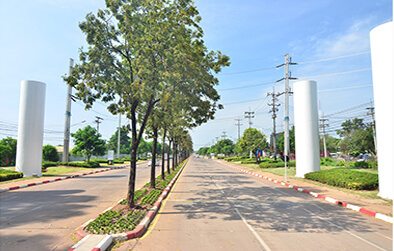 Besides the high quality industrial district development, we have also developed living facilities for managements and staffs, such as a variety of housing projects, Tawa Ravadee Resort Hotel offering finest residential buildings with the largest seminar room in Prachinburi province, restaurants, shopping plaza, healthcare and leisure facilities. In 2001, after the success of our first development in Prachinburi, a second project; 304 Industrial Park 2, was initiated. This second development occupies 6,000 Rai of land in the province of Chachoengsao, which is located only 110 kilometers from Bangkok. The project sits on a major by-pass, which skirts the city offering convenient access to Laem Chabang Seaport. This site offers investors a range of special privileges and tax exemptions from Board of Investment, and Free Trade Zone.